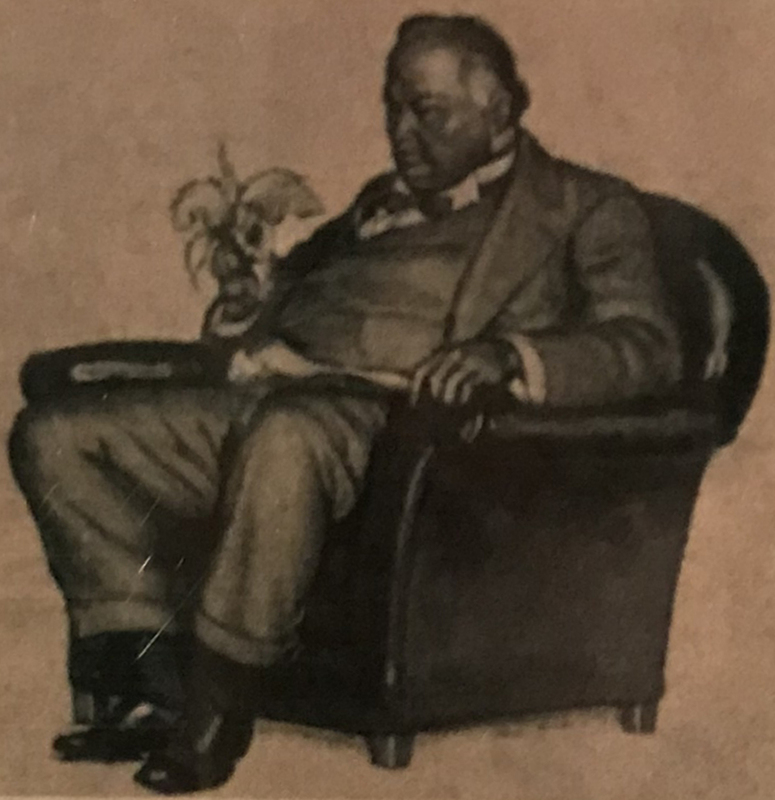 January 27, 2019 John W. Knott, Jr. This week at my website we are listing a large collection of Rex Stout books which feature all the Nero Wolfe titles. 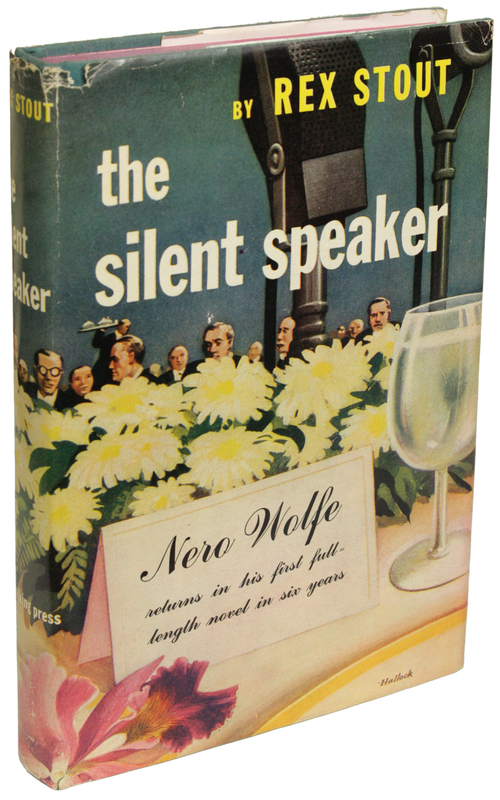 The first Wolfe book is a reprint and the second and third have facsimile dust jackets. I have below the introduction to the catalog written by Mr. Boyd White. I hope you will find it of interest. 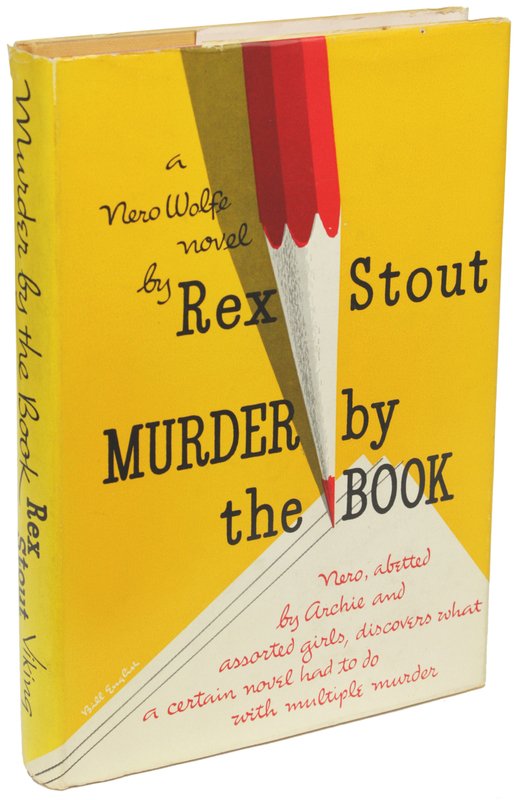 In 1959, at age 73, Rex Stout received the Mystery Writers of America’s Grand Master Award. At the time, he had published 32 books featuring Nero Wolfe and Archie Goodwin, his most enduring characters, including classics such as THE LEAGUE OF FRIGHTENED MEN (1935), SOME BURIED CEASAR (1939), and AND BE A VILLAIN (1948). 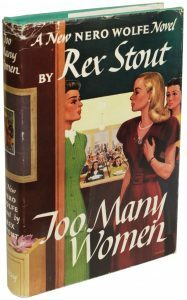 Not surprisingly, given his outspoken left-wing political views, particularly on civil liberties, Stout had also created one of the earliest female private investigators, Theolinda “Dol” Bonner, in THE HAND IN GLOVE (1937), and a part-Native American farmer-turned-detective, Tecumseh Fox, in DOUBLE FOR DEATH (1939). 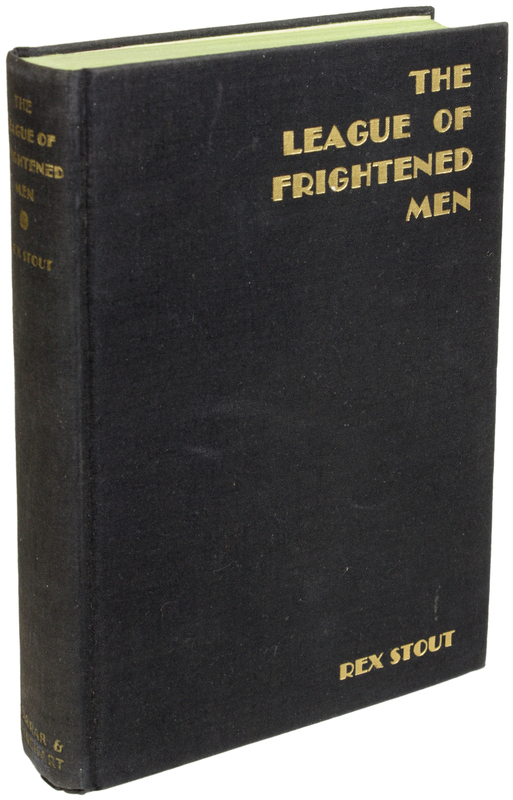 Having been named a Grand Master, however, hardly meant Stout’s career was done. 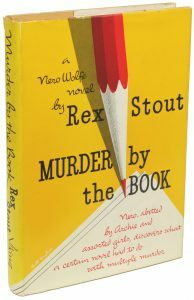 Fifteen years of writing still lay ahead of him, including two of his most highly regarded Nero Wolfe novels, DEATH OF A DOXY (1966) and A FAMILY AFFAIR (1975). 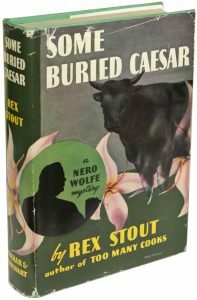 When Stout passed away at the age of 88, the Nero Wolfe series consisted of 77 titles, including novels, novellas, and short stories. 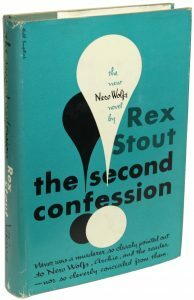 Stout scholar and biographer John McAleer has described the Nero Wolfe mysteries as “an epic that ultimately would encompass more than ten thousand pages.” No wonder, as the 20th century drew to a close, that mystery and detective writers and aficionados at Bouchercon XXXI in September of 2000 nominated Rex Stout for Writer of the Century and the Nero Wolfe mysteries as Series of the Century. From the publication of FER-DE-LANCE, the first Nero Wolfe novel in 1934, the Wolfe mysteries have always been a unique blend of golden age whodunit and hardboiled crime. 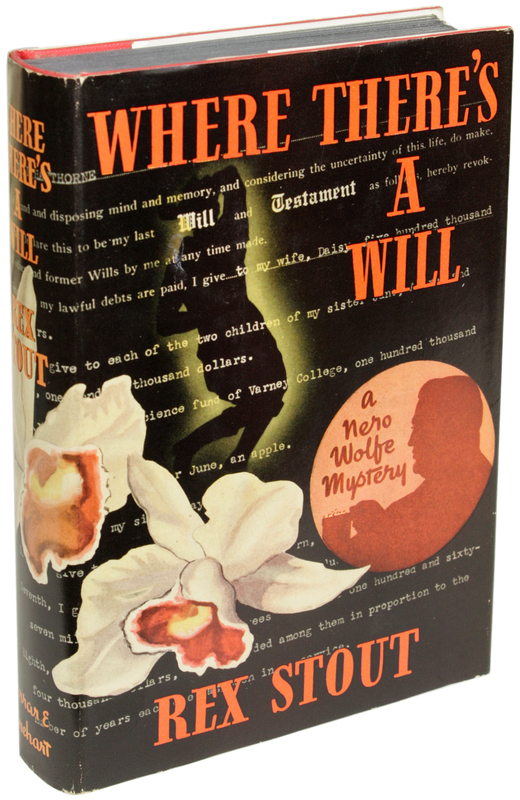 Stout’s work marries plot elements from UK mystery writers such as Agatha Christie and Dorothy L. Sayers with the wisecracking verbal sophistication and cynicism of American crime writers such as Dashiell Hammett and Raymond Chandler. 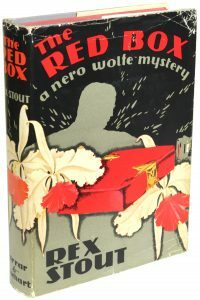 Weighing a seventh of a ton and consuming 6 quarts of beer a day, as a character Nero Wolfe is a fascinating blend of personal quirks and idiosyncrasies have been the defining traits of the traditional detective since Wilkie Collins introduced Sergeant Cuff and his penchant for roses in THE MOONSTONE in 1868. Montenegrin by birth and in his middle 50s, Wolfe suffers from obsessive-compulsive disorder and adheres to a daily schedule that never varies. He battles bouts of depression and only takes cases when his bank account runs low. 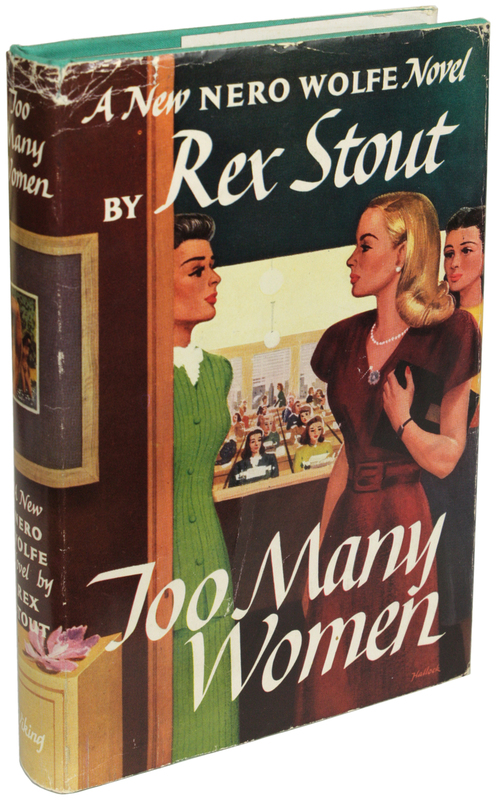 He is misogynistic, self-absorbed, and tyrannical, as well as being a devoted gourmand, voracious reader, and amateur orchid grower. 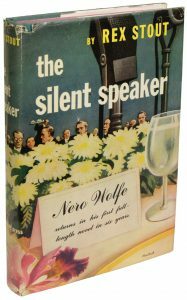 A polymath who speaks eight languages, Wolfe is agoraphobic, refusing to leave his West 35th Street brownstone except when extreme circumstances dictate. 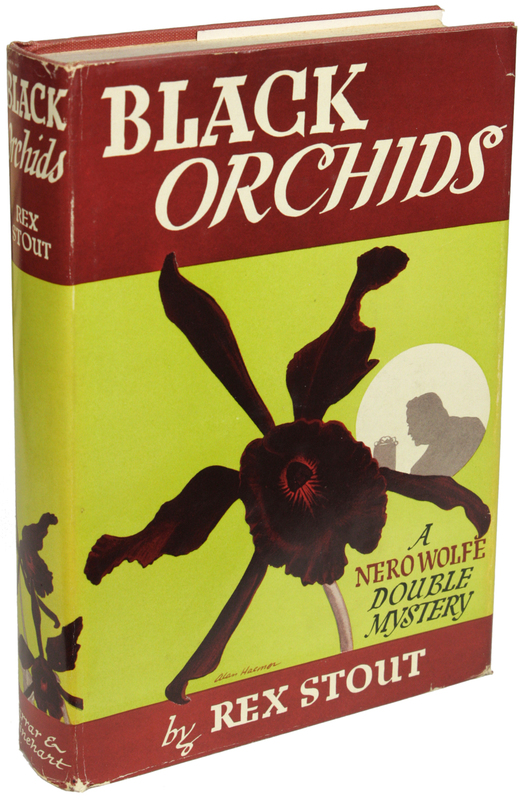 By contrast, Archie Goodwin, Wolfe’s personal assistant and close friend, is a variation of the noir private investigator that first appeared in the pages of Black Mask in the 1920s. Tall, handsome, and in his early 30s, Goodwin was born in Ohio. A gregarious natural ladies’ man, he is tough, witty, shrewd and resourceful. He prefers milk to alcohol, is an avid poker player and baseball fan, and in addition to performing all of Wolfe’s legwork, acts as his employer’s bookkeeper and financial manager. 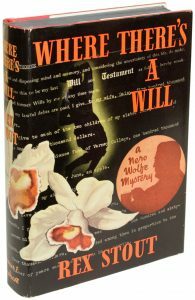 Stout’s synthesis of classic whodunit and hardboiled elements is not confined, however, to his two protagonists. 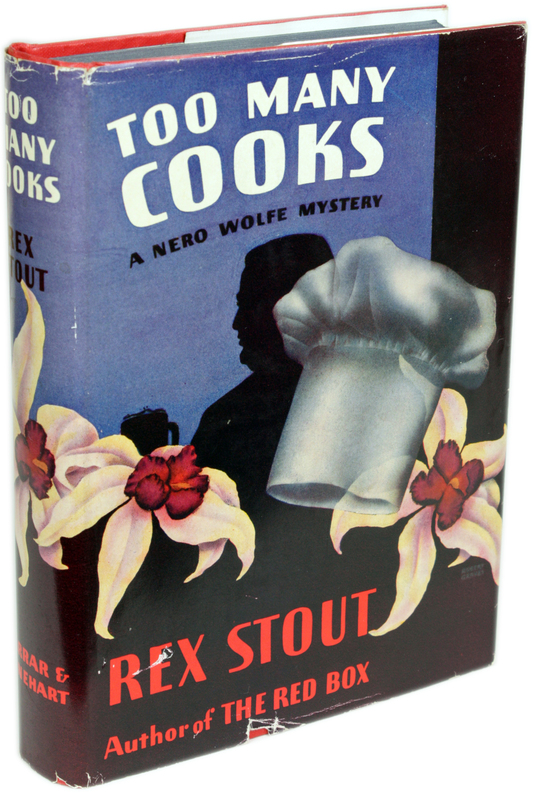 The plots of the Nero Wolfe mysteries are infused with both sensibilities, often in disconcerting ways that catch the reader wonderfully off guard. 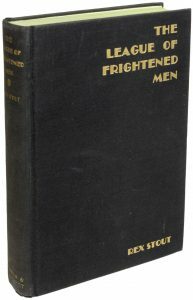 The murder weapon in FER-DE-LANCE, for instance, a golf club that shoots a needle poisoned with viper venom from its handle, hardly prepares the reader for Wolfe’s somewhat cold-hearted manipulation of events to permit the novels’ antagonists to kill themselves rather than be captured by the police. 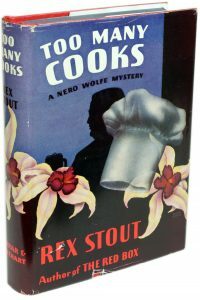 Central to the success of Stout’s Nero Wolfe series is the finely drawn relationship between Wolfe and Goodwin, a friendship rivaling even that of Holmes and Watson. Noted scholar and collector Otto Penzler has referred to Stout’s main characters as “quintessentially American heroes.” Likewise, Guy M. Townsend has asserted that the Nero Wolfe “stories are memorable for their ingenuity, their well-drawn, substantial characters, the wit and wisdom which Stout sprinkles liberally throughout, and, to a very large degree, the relationship which exists between its two principle characters.” For all their antagonistic tendencies and banter, Wolfe and Goodwin’s relationship has long since moved beyond mere employer and employee. The two men are close friends with a deep, abiding love and respect for one another. They bring out the best in each other and function most effectively and efficiently when working in tandem to solve crimes. As Doyle does in his Sherlock Holmes stories, Stout engages his readers not just in the mysteries Wolfe and Goodwin undertake but also in the details of their daily lives and routine interactions with one another.